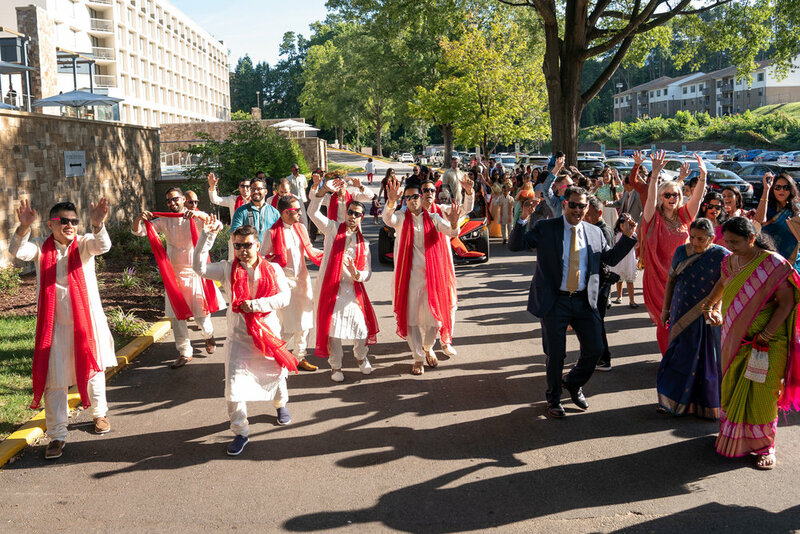 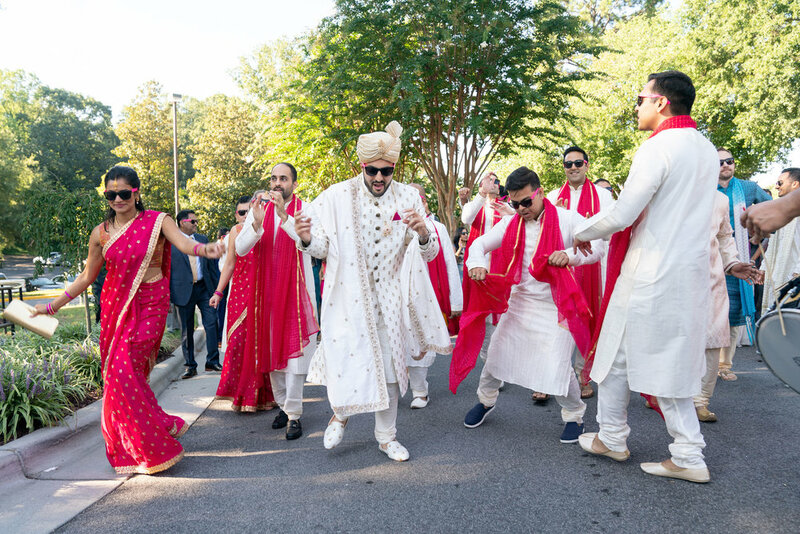 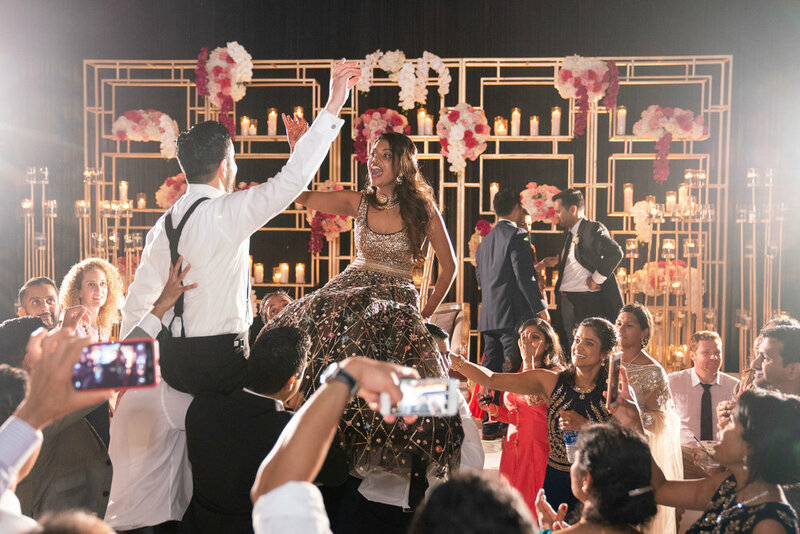 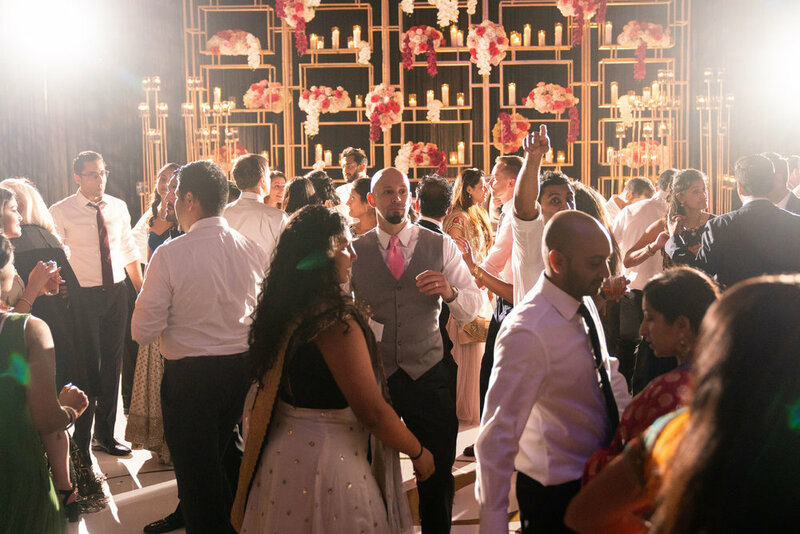 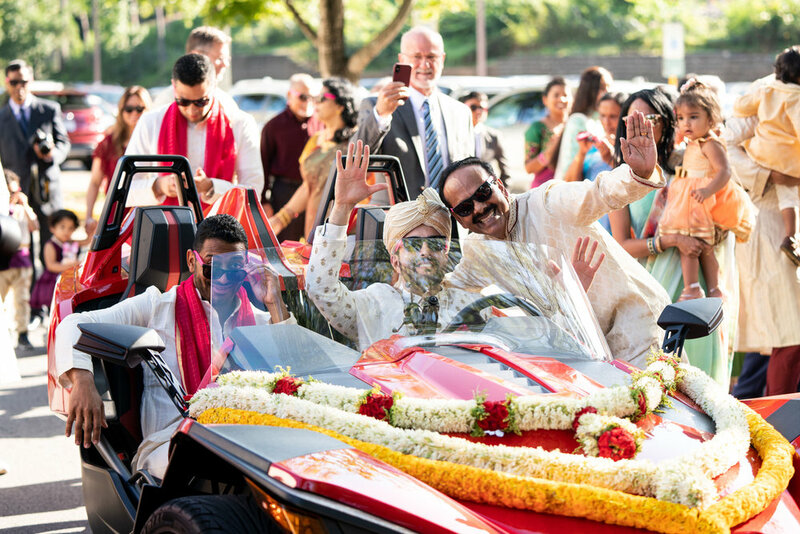 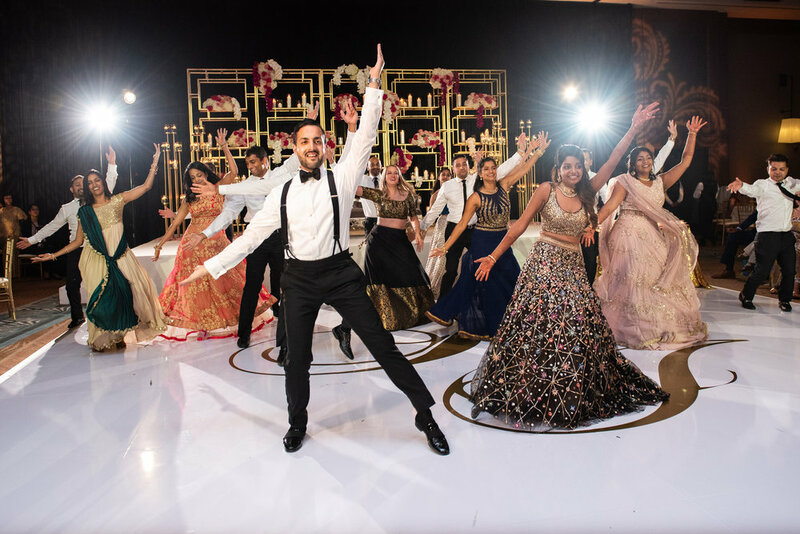 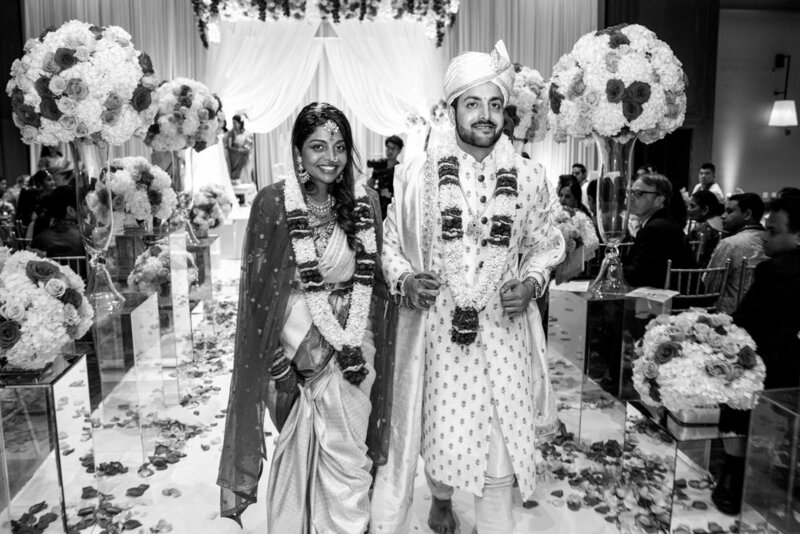 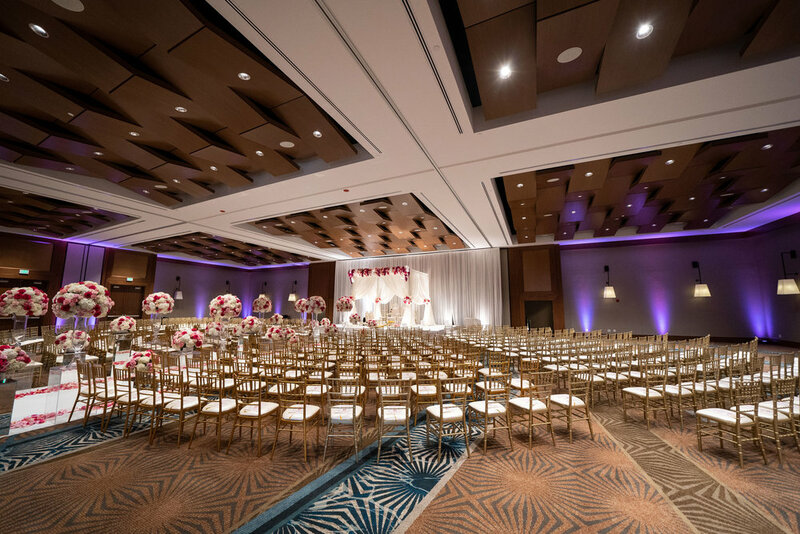 An all-star, bi coastal, dream team of vendors came together at the Raleigh Marriott Crabtree Valley this weekend for Pallavi & Jason’s wedding! 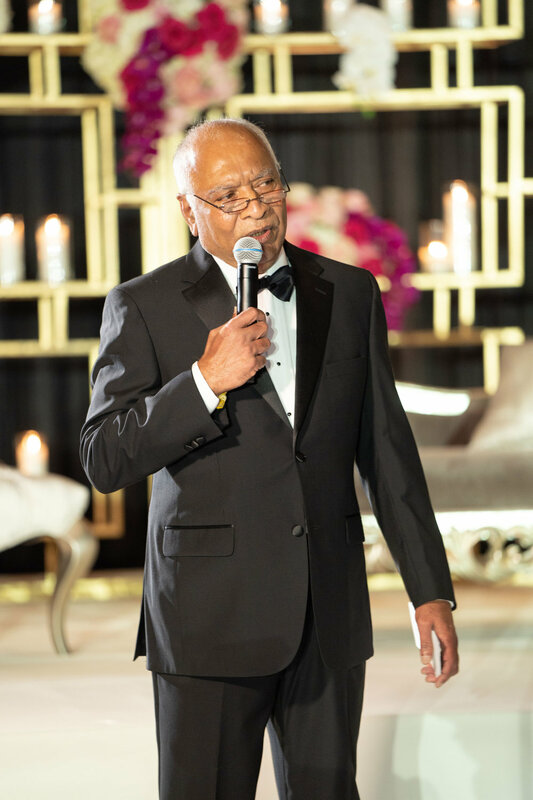 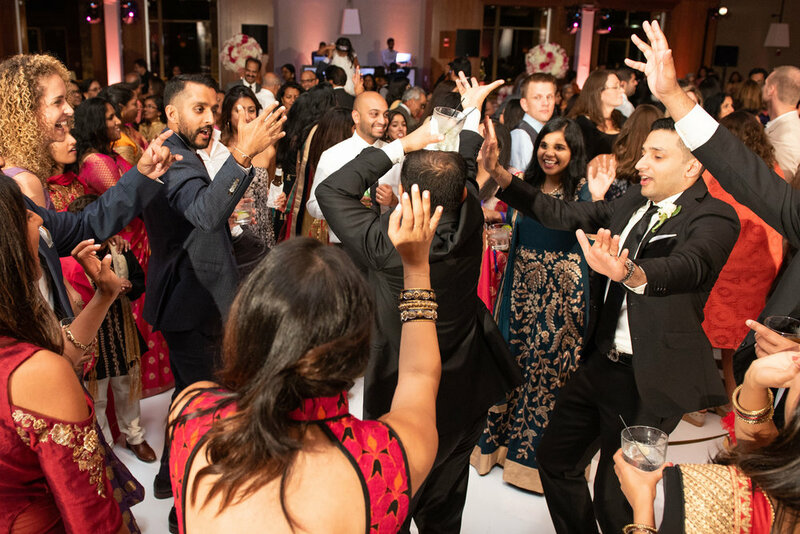 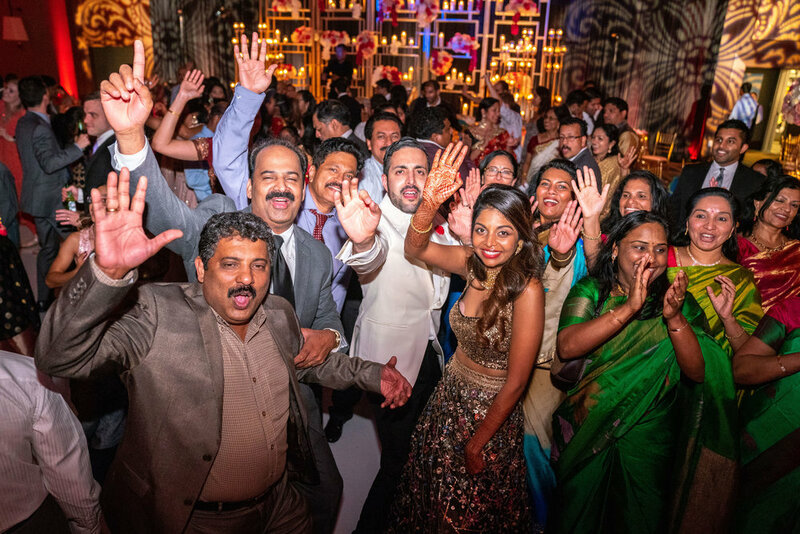 We pulled out all the stops for this 500+ guest extravaganza, with DJ Rang, Uplighting, our Photo Booth, as well as Intelligent Lighting from Spark Productions. 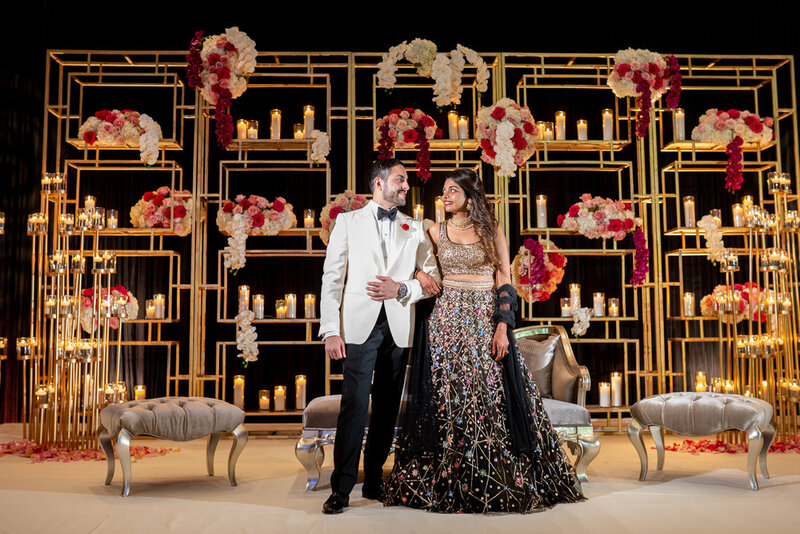 Not to mention the stunning decor put together by Weddings In Style really transformed the ballroom like I’ve never seen before! 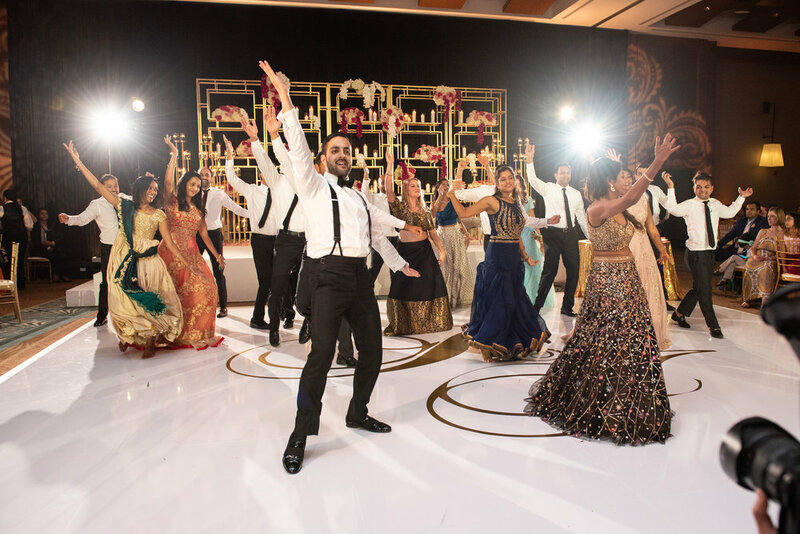 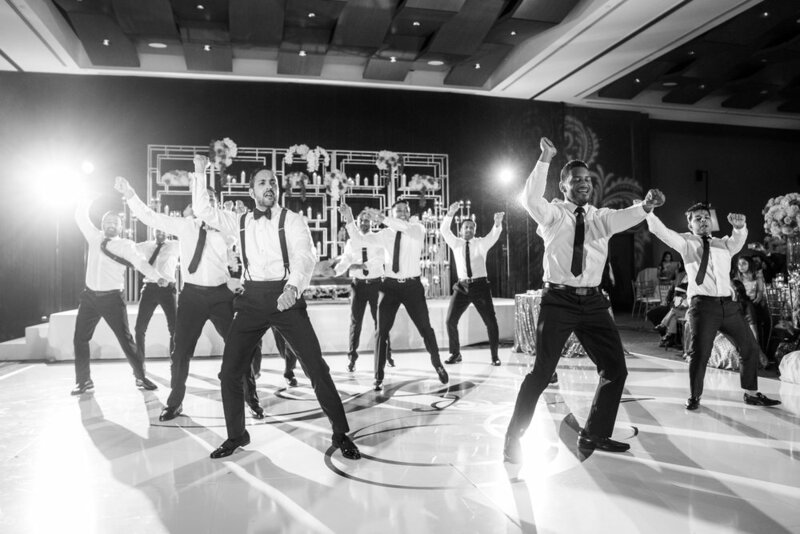 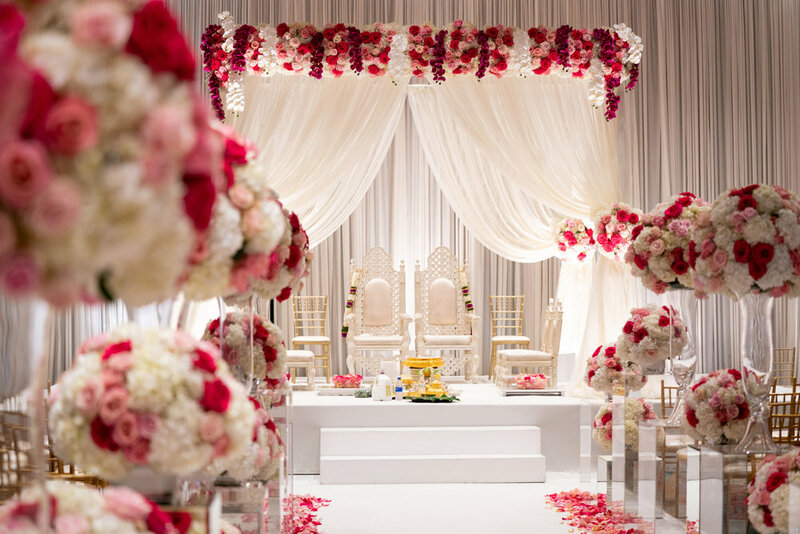 With seamless execution by Sonaa Weddings & Events, this enormous production was a blast to work on! 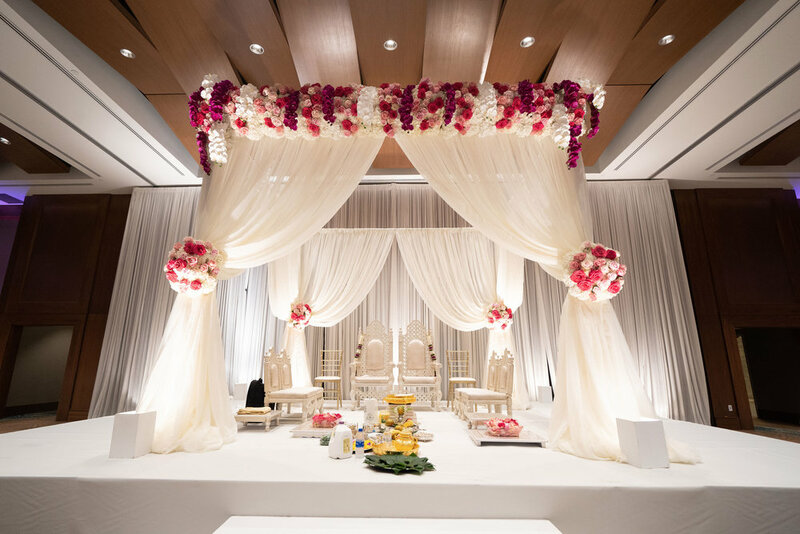 Check out the photos below from Peter Nguyen Studio! 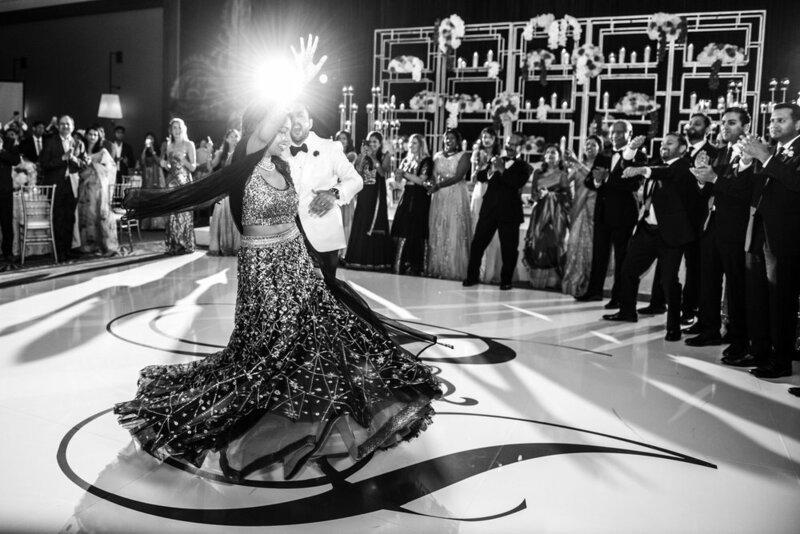 Cinda's Cakes, Sitar Indian Cuisine, Dancefloor Wrap: Katen Shah, Makeup By Shilpa, Silverceiling Beauty.